We create Digital Passport Photos and we can create Digital ID Passport photos for any Country in the World including UK, Australia and Canada. Her Majesty’s Passport Office has developed a photo transfer solution that makes passport renewal easier and simpler. 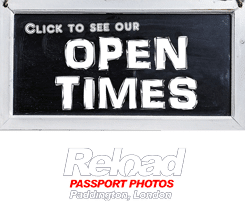 You can now visit Reload Internet in Paddington to get a professional digital ID photo for your online passport application. Your Digital passport photo will be printed in just a few seconds, along with a code that you can enter in your online passport application to attach your digital photo directly to your application or we can email it to you which is still the best and safest option. After emailing it to you, you can simply upload it to your online application and best of all you will always have a copy of it in your inbox. Reload internet has invested in software that ensures our Digital ID photos will meet over 80 critical criteria that are required by the ICAO (International Civil Aviation Organization) and Bio-metric Passport photo specifications to ensure a viable passport photo. Most Embassies Worldwide now demand a Digital Passport Photo to be uploaded with your application and Reload Internet has the technology and trained staff to create Biometrically approved Digital images in any format for any Country for only £9.99 – whether it it be for ID purposes, UK driving licence purposes, visa purposes (example Indian OCI, New Zealand) or even Passport renewal applications. Even if you prefer printed passport photos – Reload Internet owns Embassy approved digital printing equipment that can print your passport photos to meet the requirements for any Embassy. We will always ensure that the photo itself is printed on professional paper and is 45mm high x 35mm wide or 2 inches x 2 inches or any other size that is required. Always remember that it is not possible to cut down larger photos to meet the size requirements and the Staff at Reload will always ensure that you choose the correct size for the embassy you are applying to. In addition, your photo must meet the following requirements in order to be approved. Reload Internet has established a secure process for storing and transferring customers’ digital photos that will meet her Majesty’s Passport Office rules for UK passports that will meet the rules for Digital Passport Photos. Her Majesty’s Passport Office is introducing a way for customers to retrieve a digital photo when they renew their passport online. Currently, customers can only upload a digital photo stored on their own device or provided by a photo shop on a memory stick, email or CD. With this new solution, booths and shops in the UK will be able to give customers a photo code with their printed passport photos. When customers apply online, they can use this code to retrieve their digital passport photo taken at a booth or by a photographer. This provides greater choice for our customers. Keep in mind that there are frequent changes in the rules and regulations that govern passport photos. Reload Internet is fast, reliable, and we follow the rules and regulations closely so that we can incorporate any new changes. Reload Internet is your ID and passport photo specialist that offers to retake your photo for free if they are rejected due to not meeting the stated requirements. We offer to do all types of passport photos ranging from babies up to toddlers, children, and adults to meet the specifications of any embassy around the world. There are a number of reasons why our services are the best. This is why we can provide photos for passports of any country. When you consider the number of places that claim you can “do-it-yourself”, it pays to keep in mind that getting the right passport photo services can save you time, effort, and even money because they work to get it right the first time. By unnecessarily risking a rejection by doing it yourself means delays and potentially upsetting your plans. So instead, trust the professionals who have helped many thousands of people get the right passport and ID photos for their needs. Professional Photographers: Our photographers are well trained and provide excellent service. This works well when you have a baby or small child that needs to sit still for a passport photo. We offer sound advice and a comfortable atmosphere. Renewals: Another great aspect of our services is when you decide to renew your passport photo. We provide you the chance to review the new one so that you are happy with the results. If you like it, we’ll print it for you. If not, we’ll take another one. Peace of Mind: Using the services of our professional company means that you get the photo you need and not have to worry about rejections. Guaranteed service that is promptly delivered is what our company is all about.